Dubai, 27 November 2018: Dragon Mart will celebrate the 47th UAE National Day with an exciting line-up of cultural activities and traditional entertainment to showcase the nation’s heritage, from 1 to 3 December. Get a taste of Emirati culture at a unique Barasti palm tree majlis at Dragon Mart 2 serving complimentary food and drinks, showcasing local handicrafts and offerring free henna art. Guests can also enjoy traditional Yola, Ayala and Laiwa dance performances as they immerse themselves into the UAE’s rich and diverse heritage. 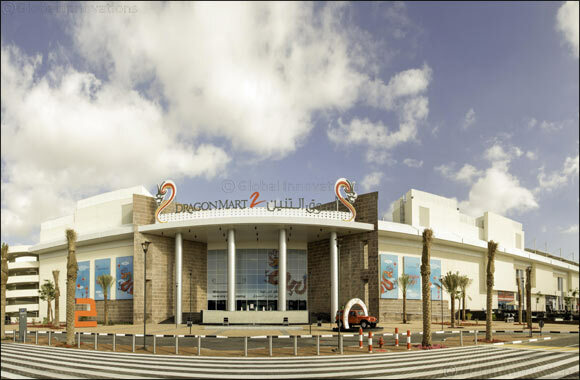 The special National Day festivities at Dragon Mart 2 take place from 5pm to 9pm every day from 1 to 3 December.